It's been 25 years since Honda Motor Company introduced the first Type-R badge on the NSX, but for some reason, it's never been applied to a Honda badged car in North America. Aside from the mid-1990s Acura Integra Type-R, the hottest Hondas have been reserved for Europe and Japan. Thankfully, that is no longer true. The fifth-generation Civic Type-R is now on sale in Honda's largest market and I've had a chance to drive it in its natural environment. For Honda, Type-R is defined as a race car for the street. That doesn't mean these are meant as high-end competition cars. Rather, a Type-R is designed to be driven to your local club racing track or autocross venue, thrashed for the day and then driven home again. 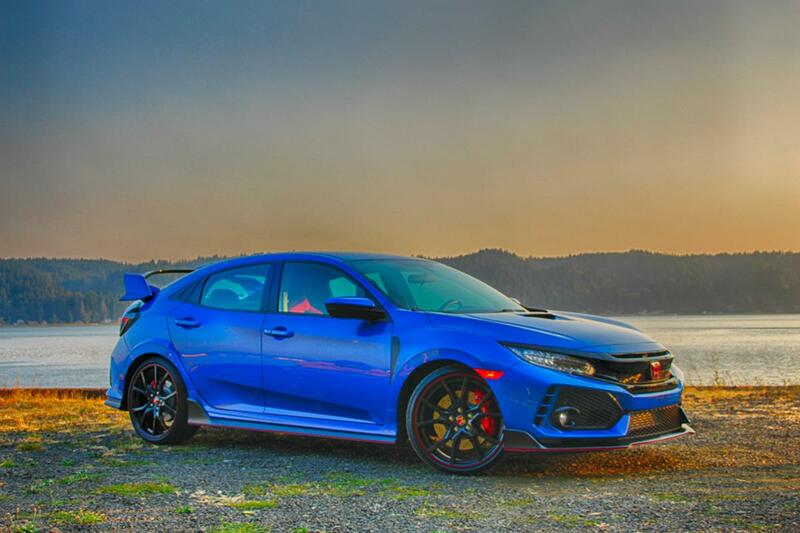 Honda recently invited us to drive the Civic Type-R to Ridge Motorsports Park west of Seattle for a few hours of lapping on the 2.47-mile, 16-turn road circuit. After our track time and a technology briefing from Civic product planner Rob Keogh we hit the road for a nearly 200-mile drive loop to Port Townsend and back down the east side of the Hood Canal. 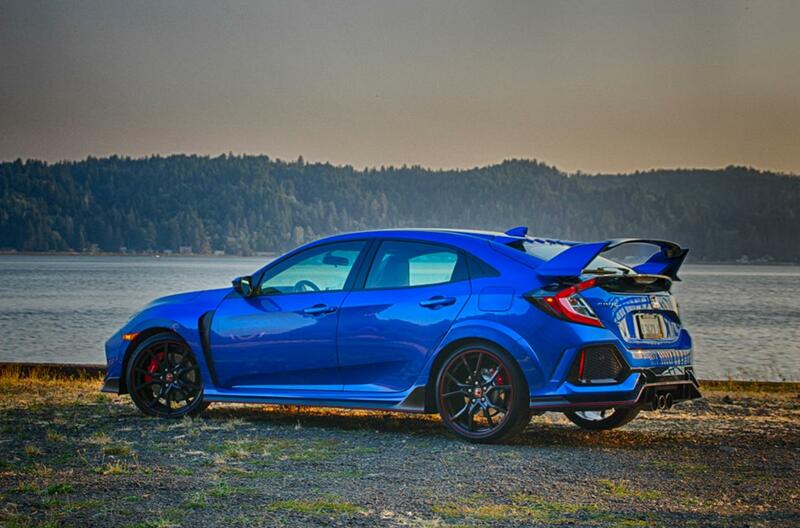 So what sets a Type-R from a run-of-the-mill Civic hatchback? There are certainly the obvious boy racer visual cues like the giant wing sitting above the rear hatch glass and the bulked up fenders. More power is obvious to compete with the likes of the VW Golf R, Ford Focus RS and Subaru WRX STi. Suspension upgrades keep the more aggressive rubber on the road. Finally, if you've ever taken any car around a race track at speed, it quickly becomes apparent that the brakes on typical car will not be functional for more than a few laps before losing most of their effectiveness so the brakes get a major upgrade. 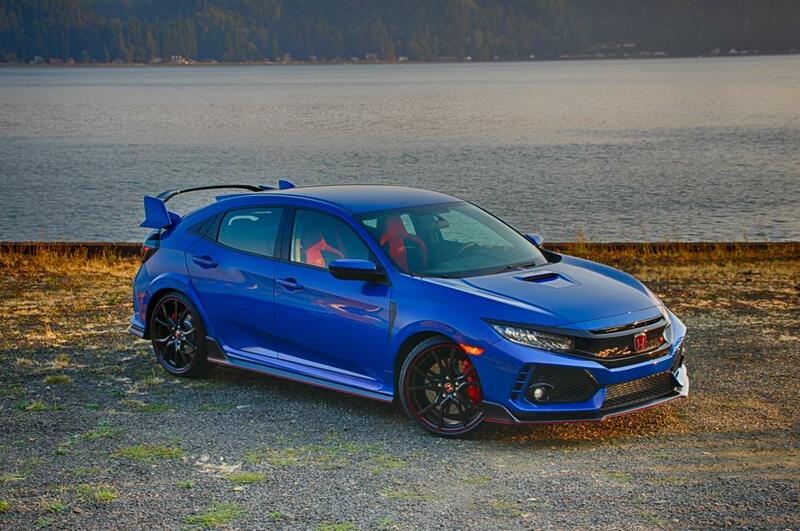 Honda's decision to bring the new Type-R to North America was enabled in part by the new global platform developed for the tenth-generation model and the growing appeal of hatchbacks here. The Type-R has always been based on the five-door hatchback Civic, but that bodystyle hasn't been offered here for the past several generations. In fact, the last-generation Civic hatch was actually derived from the Fit platform. The new platform was designed from the outset with two-door coupe, four-door sedan and five-door hatch variants in the program everywhere. Improved driving dynamics were desired for all models from the entry LX to the Type-R. A platform that doesn't flex makes makes the motions of the suspension much more predictable and the new Civic has 37% more torsional rigidity than the prior edition. Specifically for the Type-R, Honda also added adhesive bonding to bind all the stampings before the welding robots go to work. The result is another 3% of torsional stiffness with effectively no weight penalty.